First you’ll want to download this free piñata illustration by The Paper Mama by clicking here. Once you have the design, head to Zazzle and upload it for printing. Their bags are so soft and nice that you could even print a few and host a coloring party with all of you gal pals! You could also just buy this Mandala Tote if you’re looking for a different pattern. 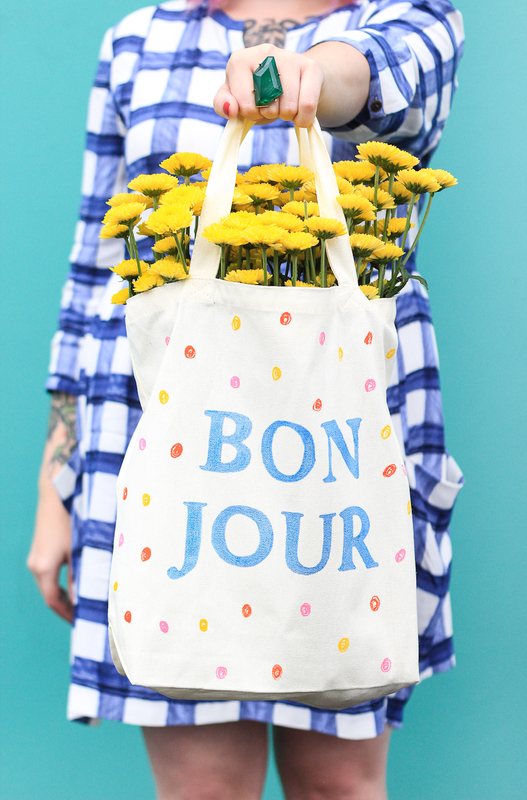 Once you get your tote, color in the design with fabric markers. Depending on your markers there might be some bleed, so I recommend starting off by coloring in the center to see how it takes to the fabric before going right up to the lines. You will also want to put a thin sheet of cardboard or a book inside to prevent the markers from bleeding through to the other side. Once all colored in, let dry and you’re done! 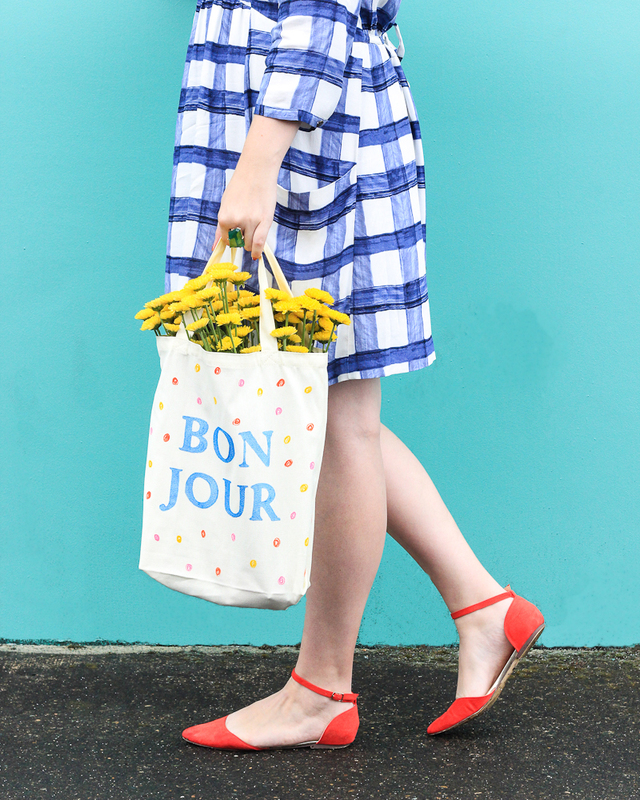 This project is a fun way to bring color to an ordinary tote bag, plus c’mon, how cute is that piñata?! I used Painters on canvas, but they work on just about any surface (plastic, wood, glass, metal, fabric, and more!). You can grab a coupon for them right here AND Painters is hosting a monthly contest from now until December where you could win a prize valued at $500 for showing off what you make (check out #StyleByAisle and #PaintersStyle on social!). The Style by Aisle with Painters Contest will have a different theme each month (this month is Clothing, Accessories, Shoes), so you can really get creative. Read more about it here! 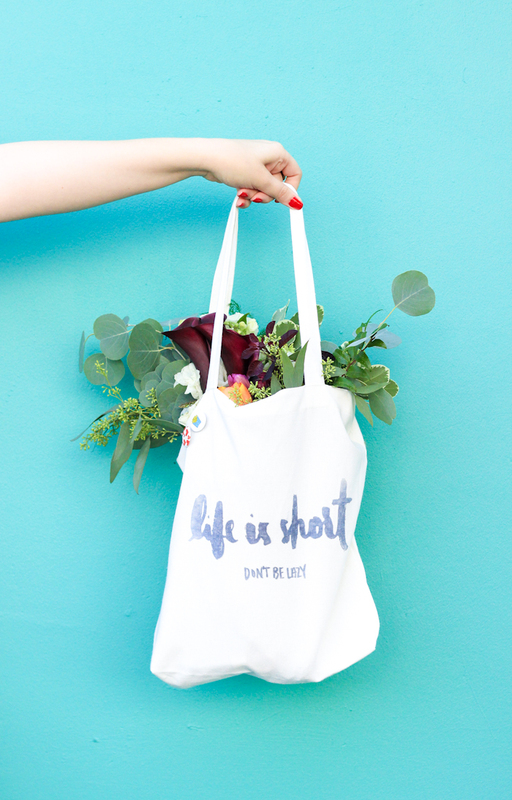 Decide on what phrase or shape you want on your bag, create it in photoshop or word, and print it out. You can also freehand your design, but the stencil is a huge help if you don’t have that confidence! Slip stencil inside tote and tape in place. Trace around your letters with the Painters and fill in. Once your design is complete, set with heat to make machine washable. And just like that, you’re done! Easy peasy, don’t you think?! I’ll pretty much be sporting this bag with me all season. Chances are it will either be filled with flowers or caramel apples at all times. You know, the necessities. This post is sponsored by Elmers. All opinions are 100% my own.Thanks for supporting the brands that help The Crafted Life making! I used one of the the free #GIRLBOSS printables Jordan Brantley made for my blog last year, but you could use any design you want. Just be sure to inverse your design before printing, otherwise it will come out backwards. Print on regular printer paper. Trace over your design with the transfer pen. After doing mine with black text, I recommend making the text a different color than your pen so you can make sure that you got the entire design. Place design ink side down and iron for 1-3 minutes. Be sure not to move your paper mid way or your design will print twice. It also helps to have something flat inside your tote so the ink doesn’t bleed through to the other wise.Lift your paper and you’re done! One of the coolest parts about this type of transfer is that you can use the same paper again and again without having to reapply the ink! I made three totes with the same transfer. Super cool right?! The end result has almost a watercolor feeling to it (keep that in mind if you were going for a bolder look). Have you ever worked with iron transfer pens before? Would love to hear how you used it!